KARACHI: Pakistan Peoples Party (PPP) co-chairman Asif Ali Zardari on Tuesday became the chieftain of his tribe, replacing his late father, veteran politician Hakim Ali Zardari who passed away in May 2011. A large number of people belonging to the Zardari tribe of Sindh and Balochistan attended the ceremony in Benazirabad, where strict security measures were taken. They tied the knot of his dastar (turban), nominating him as the chief of their tribe. Normally, tribal chiefs are given the title of Nawab or Sardar, but in the Zardari clan, tribal chiefs are referred to as Rais. After the death of his father, Zardari had publicly announced that his son, Bilawal Bhutto Zardari, would be the next chieftain of his tribe. However, elders of his tribe advised him to refrain from handing over the position to Bilawal. Apart from Nawabshah, the Zardari tribe is found in Dadu, Sanghar, Jamshoro, Thatta and Naushehro Feroz districts in Sindh. The Zardari tribe originally belongs to the Jat clan living in Sindh and Balochistan who depend upon camels for their living. Further, most Zardaris call themselves Baloch. Other sub-castes of the Jat community living in Sindh include the Lasharis, Zuhranis, Malkanis, Lanjwanis, Pahores and Kalwars, among others. 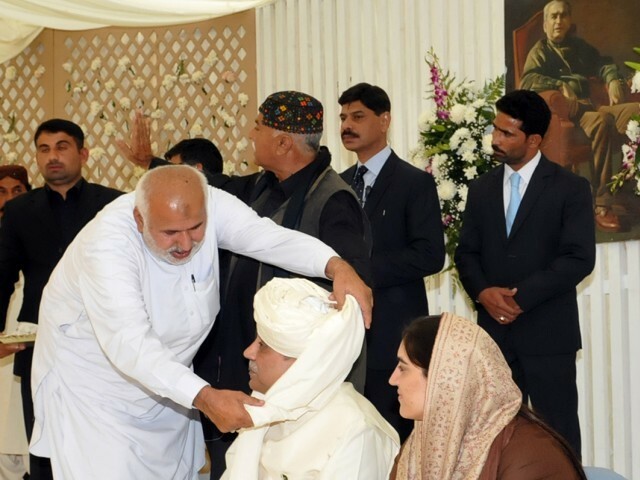 “There are many other clans of the Jat community, but Asif Ali Zardari has been nominated as chieftain of the Zardari tribe,” said Ziaul Hassan Lanjar, special assistant to the chief minister who is close to the Zardari family of Benazirabad. In a private gathering, the PPP co-chairperson dub himself as samat — people who originally belong to Sindh. 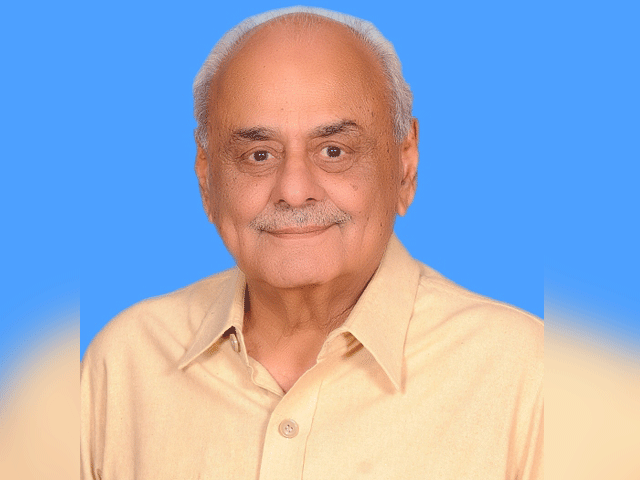 He once said, “This is our 24th generation in Sindh. The mazar of Balo Faqeer Zardari in Nawabshah can give evidence of our relations with this land,” he said, while referring to the tomb of his great grandfather Bilawal Faqeer Zardari whom Bilawal name is given to PPP chairperson Bilawal Bhutto Zardari. APML terms Zardari’s statement as "baseless, irrational and a reflection of PPP's insecurity"
So he is now entitled to have a shrine once he leaves this mortal world. And we choose them as our leaders! Shame on us. So should we now call him Raes 10% or keep calling with the old name Mr.10%? I hope this ceremony will bring some relief to Zardari, else he we was really worried aboyut military courts. Zardari wanted Bilawal to become the Chief of Tribe, but elders told Zardari that he should become the Chief of the Tribe. Bilawal is no more in control of Zadari, as it is evident that Zardari specifically went to London to bring Bilawal back to address the rally of Benazir Bhutto’s 7th death anniversary on December 27, 2014 but Bilwal refused to come back and attend the anniversary. There is a very strong possibility that Zardari who is Co-Chairman of PPP may also remove Bilawal from Chairmanship and Zardari may himself become of Chairman of PPP so that Bilawal should be stopped frim interfering PPP affairs. Basically, he has full control over a vote pool now. Dastar-bandi is an important event in one’s life. Balochis, Sindhis, and Punjabis all celebrate dastar-bandi with great zeal and fervor. Having said that, it says a lot about Asif-Bilawal rift if his own son Bilawal did not attend. Something doesn’t sound or look right to me and others. Dastar sounds more like Disaster. So Disastarbandi legalizes disaster. Congratulations on an other title of RAIS added Mr 10% ;) This can only happen in Pakistan. In the 21st Century, these corrupt people give themselves these titles of Sardars, Raees and Makhdooms makes me laugh. First they loot and scoop all the resources from Pakistan and flush them overseas to make their assets, then after they attain seniority age, they become respectable with titles and authority to make decision for the entire tribes. No wonder Pakistan is so backward and has little hope to develop. Wow,…all the way from Germania…a doctor too.!! I hope Bilawal can show a literate side of humanity when given responsibility unlike his behaviour so far. Chief of his own tribe? Ceremony in Benazirabad? Ahhh, democracy most surely is the best revenge..
Pakistan is a tribal; society and the tribal chief is suppose to take care of their own only. What about the rest of Pakistan? Intellectuals like you are supposed to take care of Pakistan. So we had a baloch president for 5 years but the baloch are still not happy…..